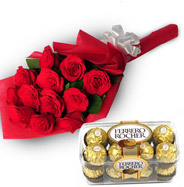 Red rose is one of the most universal of all symbols. 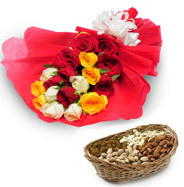 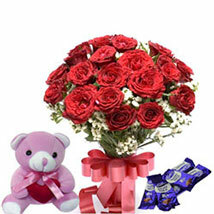 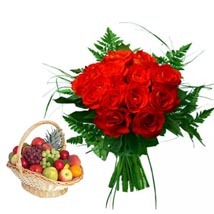 36 Red Roses bouquet in Red Paper Packing convey your message of commitment, love and fidelity. 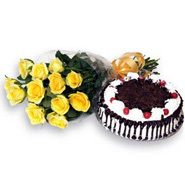 A Teddy of 6 inch and delicious half kg truffle chocolate cake help you to convey this message.